The follow-up book that girls have been requesting for years is a New York Times best seller! TCKY2 picks up where the first book leaves off. Girls will learn about the biology of puberty but in the tradition of TCKY the subjects are presented with clear text and animated illustrations. The goal is to help girls understand what is going on in their bodies and their brains during puberty, so that they can feel more in control and make better choices. The book covers mood swings, social pressures, body image, and self esteem too. And of course it discusses healthy living (diet, exercise, sleep, and hygiene) from the perspective of a slightly older girl. Like the first book in the series,TCKY2 emphasizes seeking advice from parents and trusted adults. Wow, life is changing fast! And there's so much for moms and girls to talk about. But how do girls ask the questions they need answers to, and what words can moms use to answer those questions? Here's the solution! This kit includes twin books, one for girls and one for moms, filled with dozens of how-to-say-it scripts to get the conversations going. 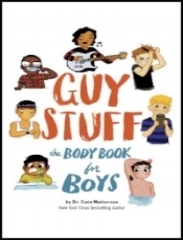 These scripts give girls the words to talk about all the big topics from body basics, hygiene, and healthy habits to friends, first-love crushes, clothing, and more. And mom's book gives her the actual words to respond to her girl's questions, as well as scripts to initiate important conversations with her daughter. Plus, a sharing journal lets both moms and girls jot down everything from jokes, memories, and must-remember moments to thoughts, questions, and even to-dos. Two bookmarks are included to guide each other to the latest entry or point out something they don?t want the other to miss. The journal becomes a great keepsake, and the books will be a hand-me-down resource to treasure. 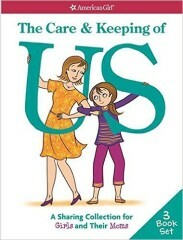 Kit includes: The Care & Keeping of Us: A How-To-Say-It Book for Girls, The Care & Keeping of Us: A How-To-Say-It Book for Moms, and The Care & Keeping of Us: A Book for Girls and Their Moms to Share. Journal by Emma MacLaren Henke. With constant debates on the playground and conflicting reports in the media, parents simply don’t know what’s dangerous for their children. 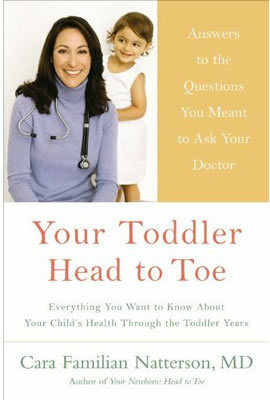 Dr Cara Natterson uses her experience as a pediatrician and a mom to answer parental questions about hot button issues. 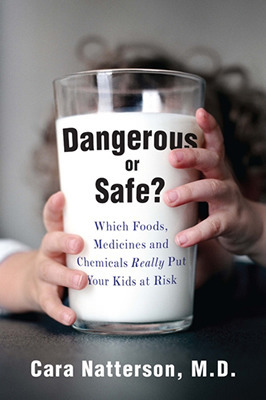 She translates scientific data and offers straightforward advice on what parents should avoid, which so-called dangerous products are completely safe, and what she does for her own children at home. Dr Natterson is a smart, reasonable voice in an era of hysteria. 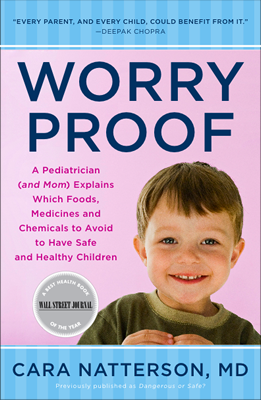 Worry Proof is a valuable, no-nonsense resource for every parent, winning the Wall Street Journal's Best Health Book of the Year award. The original guide to help parents understand what is dangerous for their children and what is just hype.Dr Cara Natterson uses her skills as both a pediatrician and a mom to offer straightforward advice on what parents should and shouldn't avoid. Most of the time, she reassures us that so-called dangerous products are completely safe. Perhaps most importantly, Dr. Natterson tells parents what she does for her own children in her own home.In this era of helicopter parenting and endless worry, Dangerous or Safe? 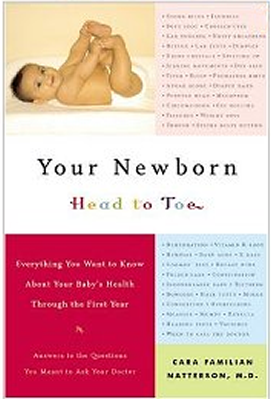 provides a calm voice filled with valuable, no-nonsense advice for every parent.